I have several web applications running on my server (Debian 8 running Apache). One of my customers wants to improve the security of his app, after having some security audits carried out by a third-party company he showed me the vulnerabilities he wanted to get fixed, one of these is the missing X-Frame-Options header. While the header is present in the HTTPS application, it's missing in the HTTP one. Because of the different requirements of the web application(s) being exposed from the same Apache instance, I cannot define a unique X-Frame-Options header directly in the httpd.conf file. I've configured an internal redirect http -> https, then adding the www., e.g. webappaddress.com -> www.webappaddress.com. The problem resides in explicitly asking for HTTP version but not getting the header before the redirection. What happens is: get http version -> redirect on https -> redirect to www. * if missing. Header set Content-Security-Policy "default-src 'self'; style-src 'unsafe-inline' 'self' ;"
Header always set Referrer-Policy "origin-when-cross-origin"
So my theory is clickjacking could be still possible before the redirect happens (tell me if I'm wrong), but if you look at Facebook or Google they seem to follow the same approach: no security headers before the http->https redirect. Your setup is not vulnerable to clickjacking. Clickjacking loads a page in an iframe and tricks the user to interact with it. The X-Frame-Options header and frame-ancestors directive prevent loading the page in an iframe. Your HTTP website doesn't have these headers and could be loaded in an iframe, but it doesn't have anything to interact with. It only redirects to HTTPS, so an attacker could load an empty page in an iframe. Since there is nothing to click here, there is no clickjacking risk. Not the answer you're looking for? Browse other questions tagged apache header clickjacking htaccess virtualhost or ask your own question. 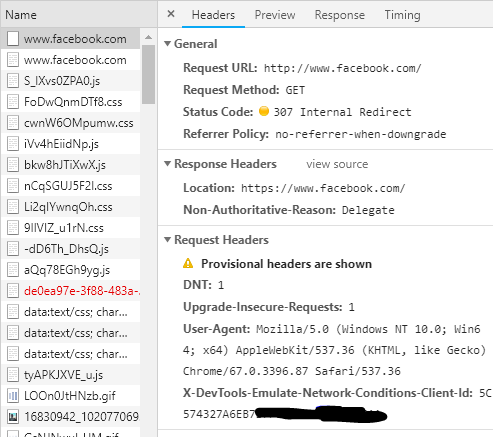 How does sending referrer HTTP headers protect against CSRF attacks?